DeepOcean AS, a subsidiary of DeepOcean Group Holding BV (DeepOcean), has announced the award from Statoil for Survey and Light Construction services in 2017. Offshore work will be undertaken in 2017 with a vessel from DeepOcean’s in-house fleet. The Contract build on DeepOceans strong experience within construction support and survey services. 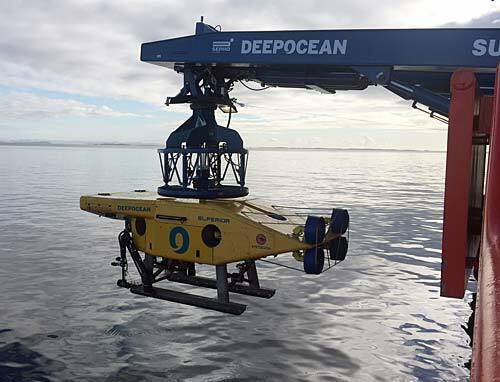 DeepOcean has been investing in new technology to provide our Clients with more efficient methods and higher quality, through our Superior high speed survey ROV concept. In 2016 the first commercial project proving the Superior’s benefits was conducted for Statoil under the same frame work agreement as the recent award. The Superior ROV has been developed to be able to increase productivity of mapping of seabed conditions and existing pipeline infrastructure through increased speed of the ROV and at the same time improve the quality of the data collected.